The Earls - John Kelly at the piano. 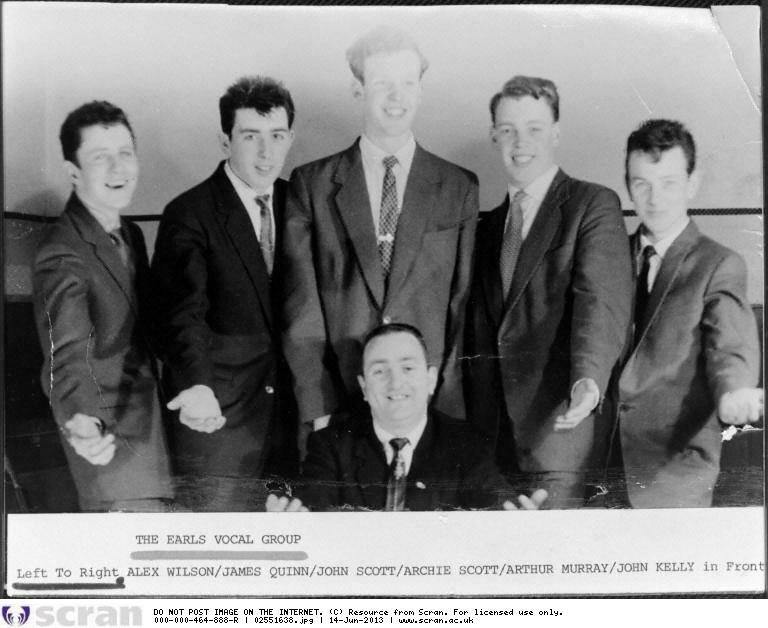 In 1958 five local lads from Addiewell - brothers John and Archie Scott, Alec Wilson, Jimmy Quinn and myself - got together and began singing. In the dark nights we would practice underneath railway tunnels to get an echo effect. The same year we fell in with John Kelly who was a porter at Addiewell Station. Kelly played piano and we used to sing at the station in the evenings. It was decided we'd start a vocal harmony group, and webegan to rehearse in Addiewell pensioners' hall on a Sunday. 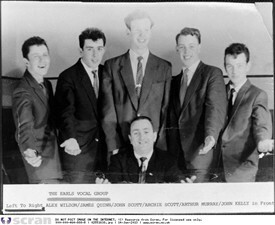 Kelly named the group "The Earls". Our first engagement was in Bathgate Palais. Then we sang round the local Miners' Clubs. We were then spotted by an old agent called Charlie McQueen from Broxburn. We won a contract with the electricity board, singing round all the town halls in Scotland. 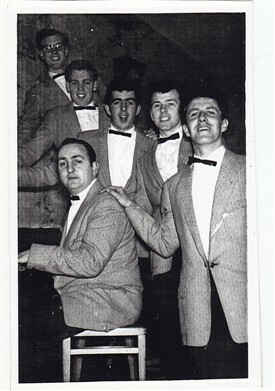 We went on to sing in Theatre, appearing with Johnny Victory and Donald Peers - great Memories. This page was added by Billy Kane on 06/08/2012. Was there not a young jazz legend in The Earls called Pat Murray? Not in Addiewell in 1875!